We’ve known for a long time that folic acid is good for pregnant women. And actually, we’ve known for a while that folic acid can lower homocystine levels (which is thought to damage the linings of your arteries) in those whose levels are high. In a recent British study, they looked again at folic acid and found that it can cut an individuals risk of heart attacks by 10-20%. About one in ten are thought to have a genetic mutation which can increase homocystine levels. So which veggies are high in folate/folic acid? The green leafy ones….bok choy, spinach, kale, mustard and collard greens, Swiss Chard, etc. For a while now, women have been hearing about the benefits of preventing heart disease, osteoporosis or menopausal symptoms by using soy based foods and nutritional supplements. Now the American Heart Association is giving soy a negative review. This stems from a newer study casting doubt on the effectiveness of soy. 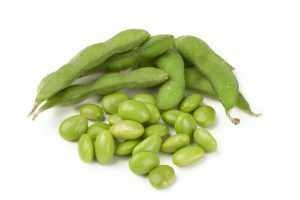 While it is true that conflicting evidence does indeed exist, most available evidence is showing that soy proteins can modestly reduce hot flashes in menopausal women and slow bone loss in postmenopausal women. Once again, what is a woman to do? Frankly, I like soy. Yes. you heard right. I like it. I use it as tofu as well as use the soy protein to add to smoothies and the like. Itâ€™s not a miracle food, but itâ€™s a good source of protein since I eat little meat. I doubt that most women rely entirely on soy for relief of those power surges or for protection both your heart and bones. If you are using soy and feel it helps, then continue to do so.